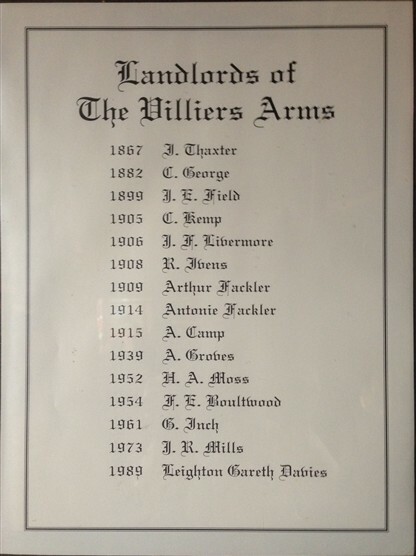 Do you have any tales to tell of landlords of the Villiers Arms? This page was added on 09/11/2013. Arthur Camp was my grandfather. 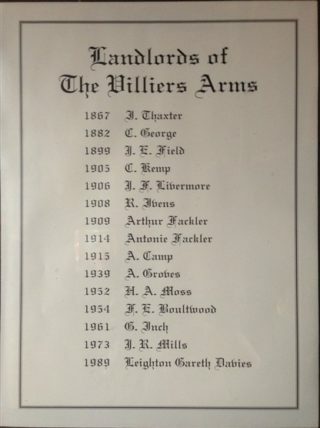 My father, Abbott, was born at the Villiers Arms in 1916 and I have been interested to read the various articles regarding life in Oxhey during the 1920’s. Unfortunately I do not know much about my fathers life during this period and would welcome any information. Can anyone suggest what school he may have attended? I know that later on he went to The Boys High School in Harrow but would be interested to hear about the earlier school period.